Convoy – Techie's Own Ride Sharing App Comes to Trivandrum! TechnoparkToday.com(May, 2018) :Started as a WhatsApp group by Six techies to connect people travelling in the same direction on weekends, Convoy is now a cherished facility for many young techies going home on their weekly sabbath. The idea sprung from tiredness of a long travel home on Friday after a hectic week followed by a similar exercise on Monday morning. Those journeys lasted only few more months and many more joined us increasing the strength, which widened outlook on pooling. Later in 2016 beginning the group became bigger. Slowly the concept got broadened and the necessity for more groups came into picture. The initial single group which contained all the members travelling to different places gave birth to multiple groups, segregating the members based on the area they travel to. It was the beginning of a new Era… participants started thinking about bringing all the groups under one umbrella, which were named based on the locations. That paved the way for the name – “Convoy”. Convoy always was in the frontline as a pure service-based group of techies which owes the vision of serving our society as well as our Environment. When we look back to the distances we covered, we could see a lot of enthusiastic faces who put forwarded new ideas and innovations for making the path vibrant. 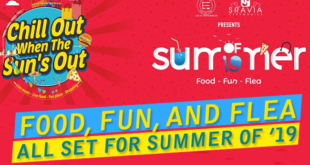 After seeing the success stories, the convoy team and TechnoparkToday.com decided to bring the convoy to Technopark & Trivandrum, to offer the same convenience and benefits the other convoy users experiencing in other IT parks and locations. 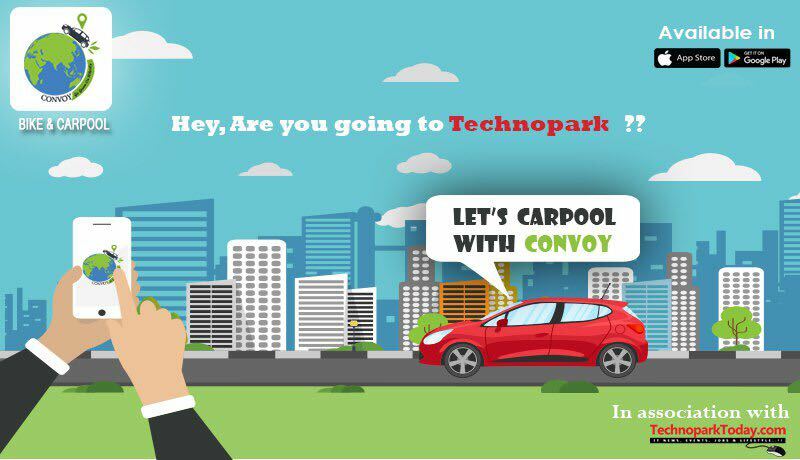 So we are introducing the CONVOY to the Technopark. highlights of Convoy – Car & Bike Pooling App. In-house Application of Infopark Employees. No service charges levied on the Users in the App, as it is purely service-oriented. Parking and traffic hassles can be tackled to a great extend. Free App available in Google Play Store and Apple App Store. Corporate Verification for enhanced security. Schedule rides feature for reducing rider’s efforts. Option for Intermediate drop points. Filter levels for securing rides based on Gender, Corporate verified and same company. 360 degree Feedback mechanism for riders as well as passengers. Reduces the pollution to a great extent, as it promotes Go Green Initiative and decreases the number of vehicles on road. Poolers and Riders can save their pocket, as it saves their time, health and money. Gender filter feature for safety of lady riders. Phone number privacy – Phone number of the User/Rider will be hidden until the ride is accepted. Support through [email protected]convoy.co.in for resolving app related issues.